Million of Facebook users got a notice that they may be eligible for a class-action payout from Mark Zuckerberg's company. Facebook may have to pay some of its users up to $10 each to settle a class-action lawsuit over its "Sponsored Stories" ads, according to legal notices sent out late last week. But don't get your hopes up just yet: Your chances of actually seeing that much cash are pretty slim. In April 2011, five Facebook users filed a lawsuit against the social network giant over its recently launched Sponsored Stories advertising product, which includes users' names and profile picture. If you click 'Like' on a brand like Target, your friends might start seeing Target-related ads with your face next to them. 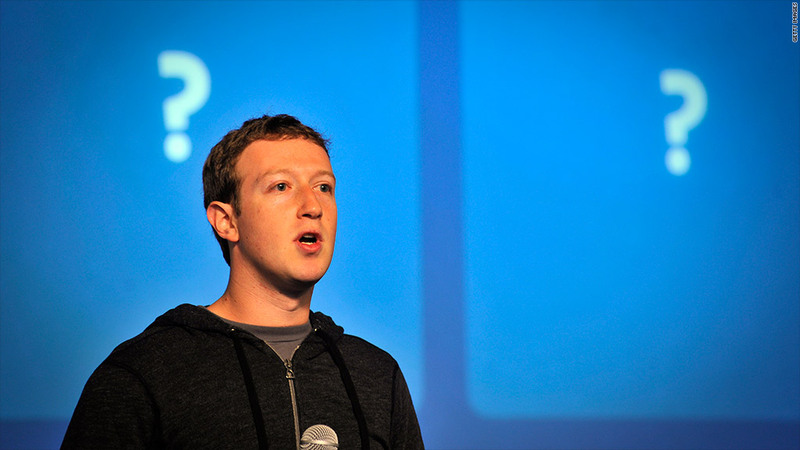 The move didn't sit well with some of Facebook's 1 billion users, but there's no way to opt out. Facebook (FB) offered last year to settle the lawsuit by making changes to its service terms to more clearly explain how Sponsored Stories works. It also agreed to pay $20 million into a settlement fund. Facebook and the suing parties agreed to channel most of that settlement cash to Internet privacy advocacy groups. U.S. District Judge Richard Seeborg vetoed the plan, though. He felt some portion of the cash should go directly to Facebook's users. Or, at least, he wanted the two sides to explore that option. With a class size that could approach 100 million people, cash payments might not be feasible, he acknowledged. "The issue this presents appears to be a novel one," he wrote in his ruling in August. "Are some class actions simply too big to settle?" The two sides went back to the drawing board and came up with a new proposal, which the court accepted: Class members will be eligible to receive payments of up to $10 each from the settlement fund. That's why some Facebook users received emailed settlement notices over the past few days. Sent from the address legalnotice@facebookmail.com, the message looks like it could be spam, but it's not -- it's legit. Here's the catch: The more people who make claims, the less each individual will receive. The plaintiffs' lawyers fees will be deducted from the $20 million settlement fund. (The court is still determining how much they'll get, but the lawyers have asked for $7.5 million, plus around $283,000 in expenses.) Whatever is left gets divided up by the number of claimants. If the fund has $12 million after legal fees and 1.2 million people make claims, everyone gets $10. But if 12 million people make claims, everyone gets only $1. If the number of claims makes it "economically infeasible" to pay everyone cash, the two sides go back to plan A: the cash will go entirely to non-for-profit advocacy groups. The website http://www.fraleyfacebooksettlement.com lays out the terms of the proposed deal and the 14 groups that might collect a share of the settlement cash. Those who received the settlement notice have until May 2, 2013, to decide if they want to submit a claim. A final hearing on the case is slated to take place in June.